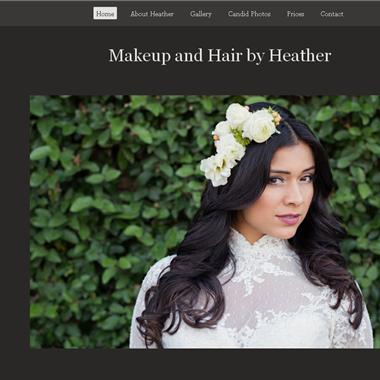 Select photos you like; we'll recommend wedding hair and make-up artists in Houston Try now! "On your special day we can take care of all your make-up and hair needs Our team of highly trained makeup artists, hair stylists and colorists can help you achieve your out most beauty perfection. You will look stunning so your wedding day is what you always wanted to be." "My passion is making women look and feel beautiful! Nothing makes me happier than knowing something that comes so natural & easy to me, makes such a positive impact on the way a woman feels about herself – it’s truly priceless!" 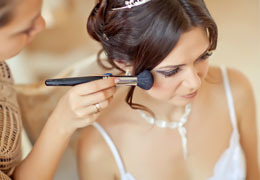 "Bridal hair and makeup should be beautiful, memorable and flawless, and should also endure Houston weather. 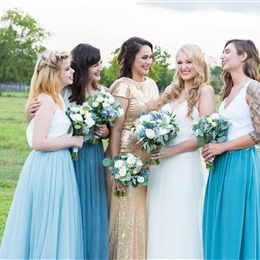 If you want your Houston wedding to be an outdoor extravaganza, Therapy Hair Studio can make sure every aspect of your hair and makeup is the stuff wedding dreams are made of." 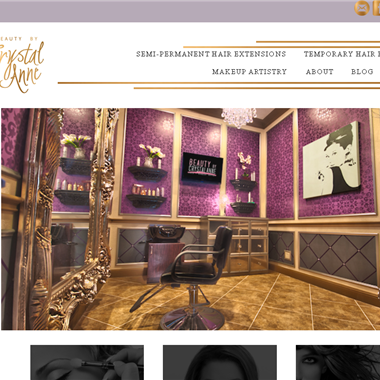 "I have built an extensive career with over ten years in the hair and makeup industry. My experiences have landed my work in print, film and on the runway. 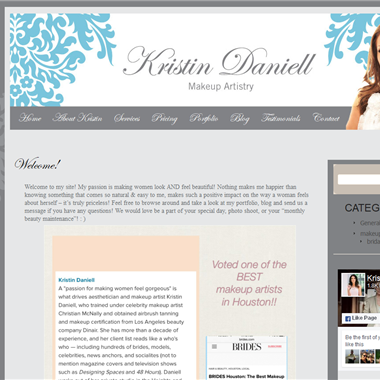 My brushes have graced the faces and hair of brides, celebrities and the girl next door." 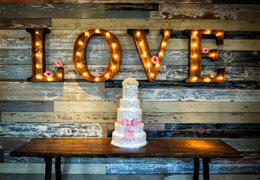 "With Hart My Style we give you remarkable service anywhere in the Greater Houston Area for your special occasion! This is perfect for spa parties, bachelorette parties, birthdays, girls night out, beach themed parties, cheer-leading squads, dance teams, body competitions, beauty pageants, bridal showers, prom, Quinceañeras, Sweet 16, special events and more!" 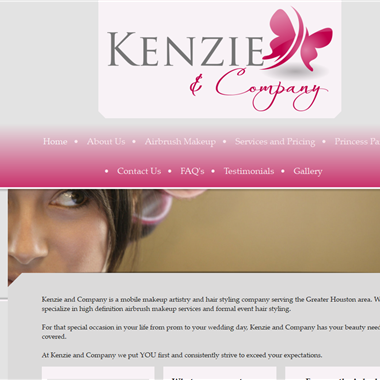 "Kenzie and Company provides on location airbrush makeup, traditional makeup and hair styling for the Greater Houston area. We come to you! No more salon or studio appointments on your big day when you book with Kenzie and Company! All of our artists are trained, experienced professionals with a passion for their art." 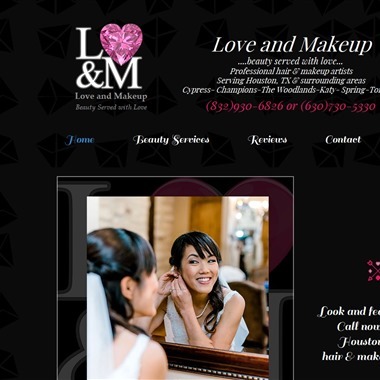 Professional Hair & Makeup artists, serving Houston, TX and surrounding areas.